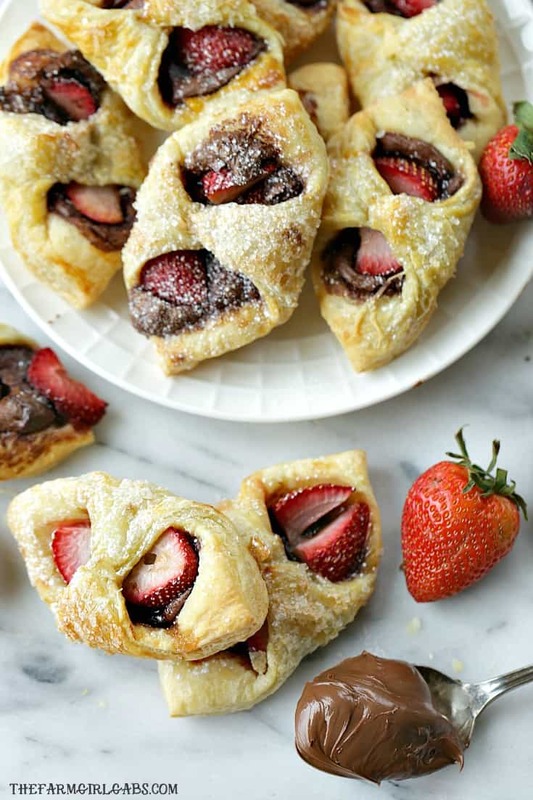 With just three main ingredients, Strawberry Nutella Pastries are a drool-worthy dessert that everyone will love. Strawberry week continues here on The Farn Girl Gabs. If you have been following me on Instagram or Facebook, you know that this has not been the best strawberry season here on our family farm. We didn’t start picking these red gems until a few days ago which is over a week later than usual. A very rainy spring and lack of sunshine really put a damper on things. Now the heat has kicked in (which berries hate) and truthfully, I don’t think our berry crop will last long this year at all. This is the sad reality of farming which a lot of people don’t realize. Mother nature has such a huge role to play and most times we are just at her mercy. Boy, all that sounds so depressing. It’s just the reality of farm life. My aim is to enjoy these bad boys as much as I can before the season vanishes. What isn’t depressing are these Strawberry Nutella Pastries. With just a few simple ingredients you can create these bake shop-worthy treats. Wait! Did someone say Nutella ? While I don’t really believe I have professed my love of Nutella to you here on the blog, I am just going to come clean and say that I think it is pretty darn good. Just pass me a spoon and a jar of that nutty chocolate goodness and I am one happy camper. 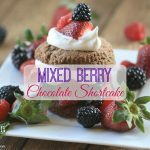 Add some fresh strawberries to the mix and you have a delicious flavor combination that will make your mouth water. Puff pastry is the one item that I always stock in my freezer. It’s perfect for a quick sweet or savory recipe and can be used in so many different ways (check out these yummy apple cheese puffs and these savory Sausage Tomato Goat Cheese Tarts). To make these Strawberry Nutella Pastries, I gently rolled out a sheet of puff pastry dough and cut into nine equal squares. Add a tablespoon of Nutella to each and then top with some strawberries. Fold each end over to meet in the center. I like to brush the tops of each with an egg wash and then sprinkle with some sprinkling sugar for a little extra crunch. Once these babies are golden brown, remove from the oven. When cooled, dust with some powdered sugar . Gently roll out one sheet of puff pastry into a square. Cut into nine equal squares. Add one tablespoon of Nutella to the center of each. Add one tablespoon of strawberries to the center. Fold opposite corners over and brush with egg. Repeat with another sheet of puff pastry. Bake at 400 degrees for 12 - 15 minutes until golden brown. 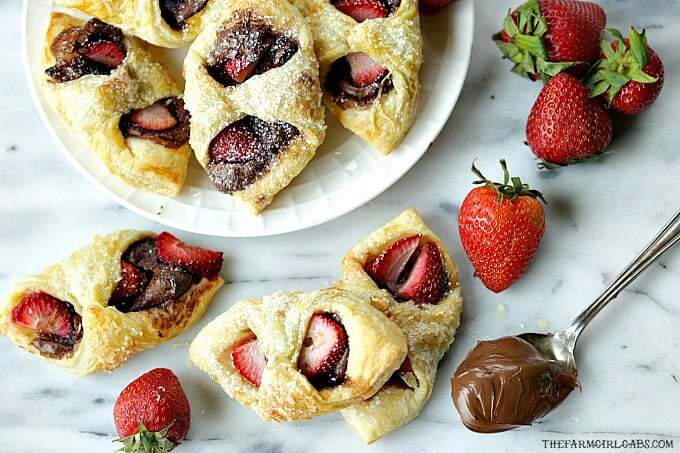 WANT TO SAVE THIS STRAWBERRY NUTELLA PASTRIES RECIPE FOR LATER? CLICK THE PHOTO BELOW TO SAVE TO PINTEREST.